Not to be outdone by the Macy's parade in New York City, Chicagoans have their own Uncle Dan's Thanksgiving Day Parade. 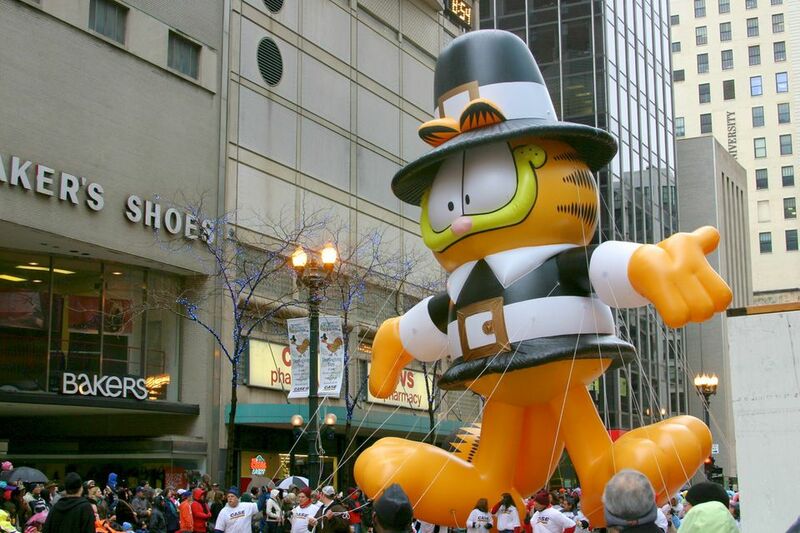 The Windy City has hosted a holiday parade since 1934, and it's been held on Thanksgiving since 1999. Nearly half a million spectators line the parade route on State Street to see marching bands, equestrian units, elaborate floats, and floating balloons flying high above the streets of downtown Chicago. Nearly four million more people watch it on TV as part of their holiday ritual. Arrive early and come prepared: While the parade won't kick off until 8 a.m., crowds start gathering along the route as early as 5 a.m. Bring folding stools or chairs to make the wait a bit more comfortable. Dress for the weather: Temperatures are typically in the mid 30s to low 40s in late November in Chicago. From the time you pick out your viewing spot until the end of the parade, you could spend four hours or more standing outside. Be sure to dress warmly and make sure everyone is wearing hats and mittens. Pack essentials: Don't forget your camera, snacks, perhaps an extra sweater, and a healthy dose of patience. It'll be crowded, so prepare to roll with it. Pick a spot wisely: Choose a viewing location as close to the beginning of the route as possible. Once the parade starts, it takes just over an hour for the whole procession to pass by. If you're situated near the beginning of the route, you could be finished before 10 a.m. Spectators with special needs can view the parade from the southeast corner of State Street and Jackson in a designated viewing area. It's also a good idea to position yourself near a coffee shop or department store, where you can nip in for a bathroom break if needed. For younger kids, this can be crucial. Know when to bail: Seeing part of the parade is better than nothing. If it's too cold or the kids are getting cranky, there's no shame in ditching out before the last float passes by. Brookfield Zoo: Located just west of the city in the suburb of Brookfield, this world-class zoo offers 216 acres of creative naturalistic indoor and outdoor viewing areas and thousands of animals—from camels, giraffes, baboons, leopards, and tigers to green sea turtles, dolphins, and more. Chicago Children's Museum: If you've got little kids 10 and under, make time for this remarkable kids museum, which fills an entire three-floor building with interactive, educational exhibits. Kids can play dress-up, dig for dinosaur bones, build a skyscraper, build a fort, take an art lesson, and enjoy a bunch of other fun, engaging activities. 360 Chicago: Formerly called the Hancock Observatory, this landmark offers tremendous views of three states. Take the high-speed elevator up to the Skywalk deck and, if you're a bit brave, check out Tilt, a glass-and-steel enclosed platform that holds eight people and actually tilts forward to deliver better views of the surrounding city. Shedd Aquarium: One of the world’s largest indoor aquariums, the octagonal Shedd aquarium houses thousands of fish and other water creatures from rivers, lakes, and oceans. Exhibits showcase creatures from different parts of the world; if you're short on time, head straight for the shark exhibit and the fascinating Amazon section, with its piranhas and frogs.